California’s Calix has equipment being used to serve more than 40 million subscriber lines across North America, and the 2012 acquisition of Ericsson’s fiber assets has helped it continue to be a large player in the space of telecom access equipment. A 2010 purchase of Occam Networks expanded the company’s range of devices, including what is now the Calix-Occam BLC6000, a broadband loop carrier chassis that relies on embedded Linux for Gigabit Ethernet transport. The Calix-Occam BLC6000 can provide simultaneous voice, video and high-speed data to both residential and business-class subscribers with support for Ethernet and IP transport and service protocols. 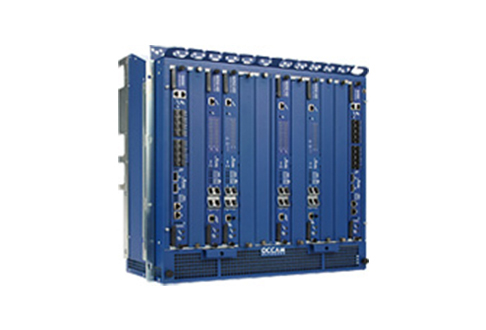 Used Calix-Occam BLC6000 units are for networks looking to leave behind legacy ATM and SONET protocols. This unit’s Ethernet trunking eliminates your need for DSLAMs, reducing cost as you expand and allowing you to support more modern units, architecture, customers and construction. Many networks are also able to rely on the BLC6000 and reduce or eliminate their Ethernet switches, OADMs and VoIP gateways, according to Occam and Calix statements. Since the turn of the century, the Calix-Occam BLC6000 has provided a broad set of triple-play support for copper and fiber terminals, playing a vital role as many networks chose to upgrade. Each refurbished Calix-Occam BLC6000 from Worldwide Supply can support between 24 and multiple thousands of DSL subscribers, with as well as a broad range of higher-tier customers. Support ranges from POTS and T1/E1 activity to high-density ADSL and ADSL2Plus that’s specifically built to enhance triple-play features for HDTV family. You can rely on redundant Gigabit Ethernet lines between home and central offices as well as legacy ATM and SONET support. Units also can work with FTTH and FTTN, twisted pair copper wire VDSL services and single-pair high-speed DSL for services that need symmetric upstream and downstream speeds.